Did you know May 18 is the official Bike to Work day? 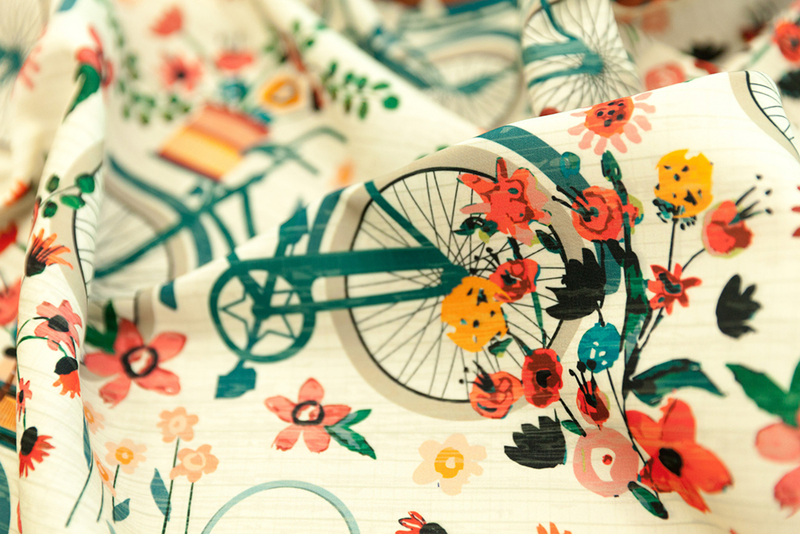 To celebrate, we’re kicking off this week’s Cycling Design Challenge with a perfectly pleasant ride into town for a burst of springtime blooms. 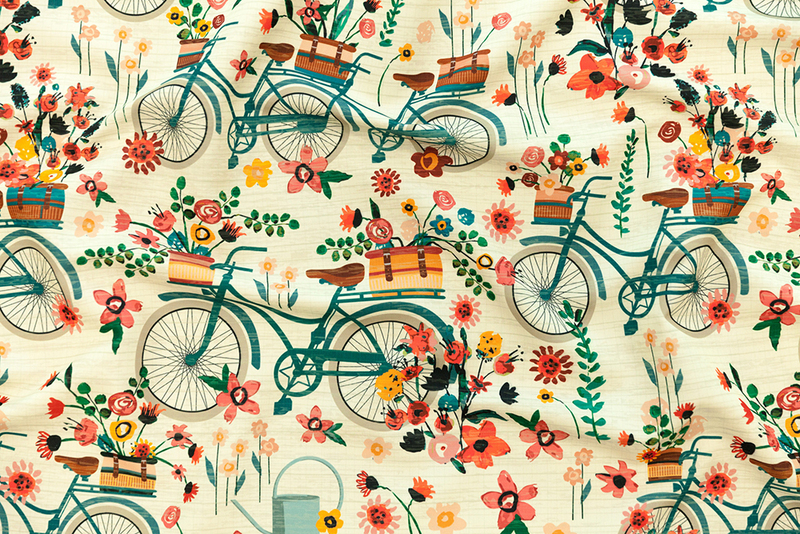 Join us in recognizing the cheerful work of grand prize winner sarah_treu, who will be receiving a $200 Spoonflower credit for her design, Ride To The Flower Market. It’s a close second place for (gaiamarfurt) and third place (booboo_collective) winners who will be receiving $100 and $50 in Spoonflower credit, respectively. Pedal your way through the entire top ten, but don’t forget your helmet!